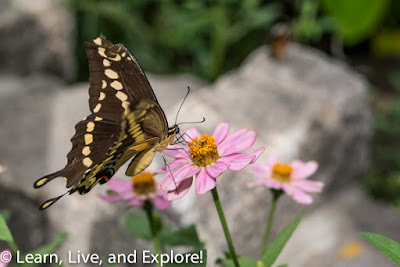 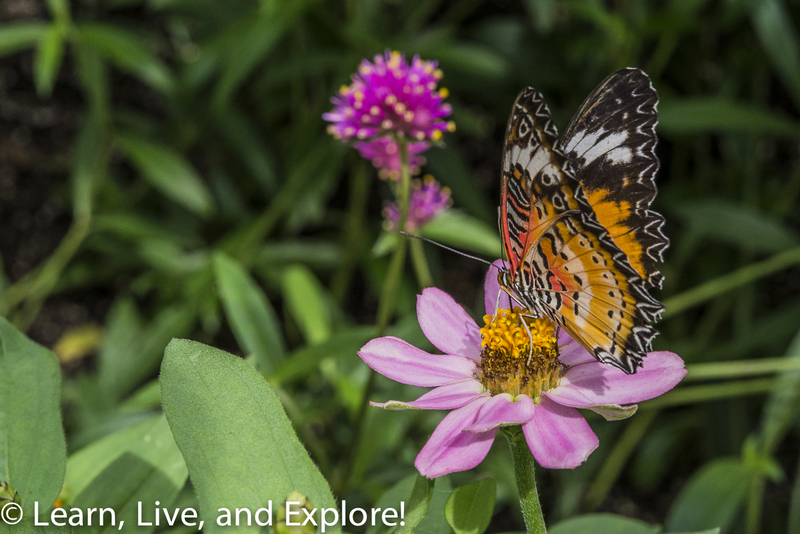 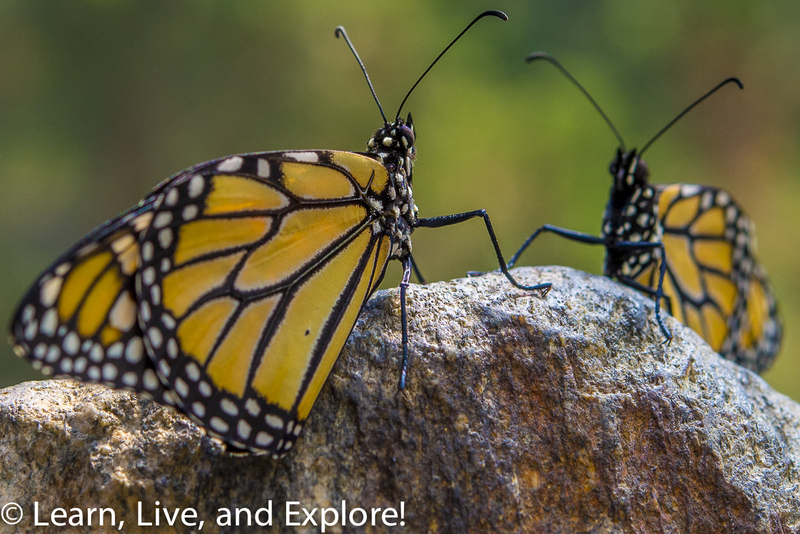 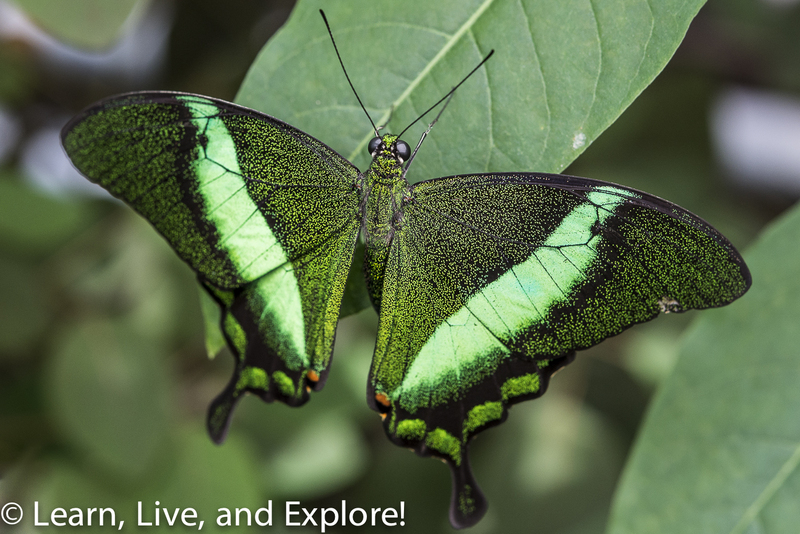 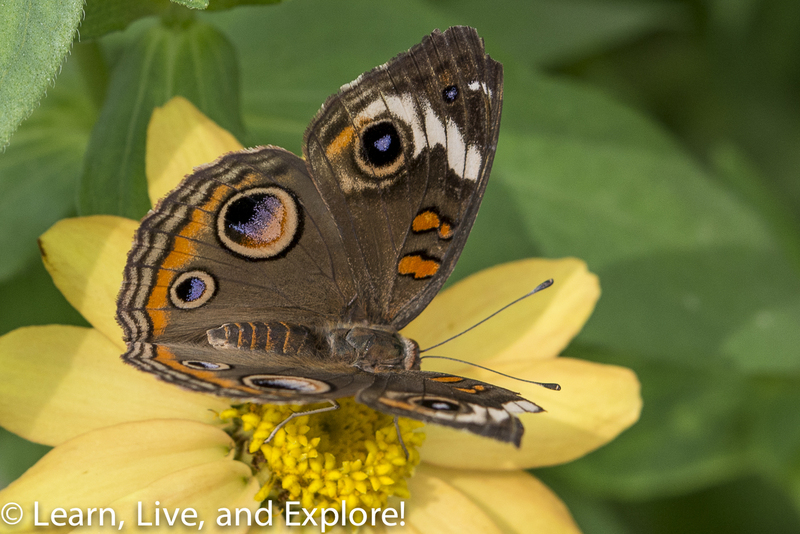 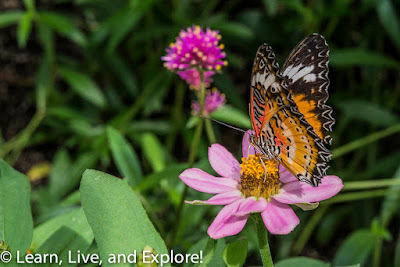 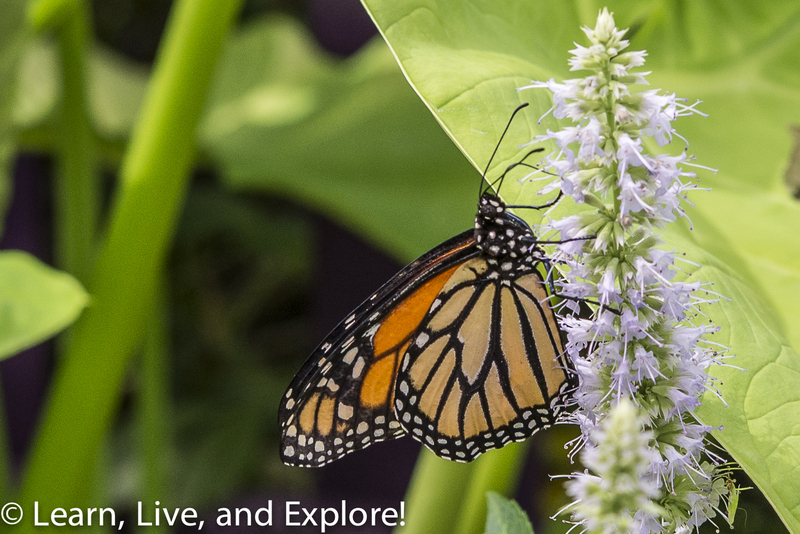 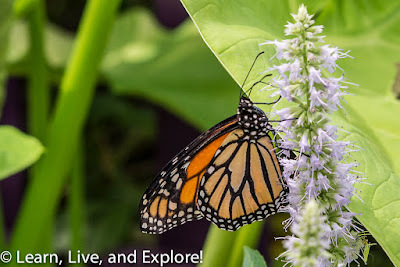 Butterflies of Brookside Gardens ~ Learn, Live, and Explore! 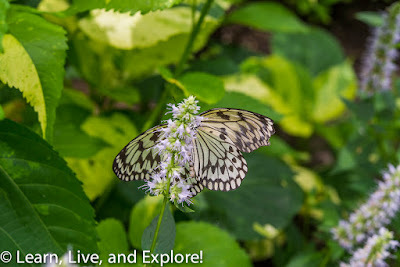 Visiting Brookside Gardens in the summer during their Wings of Fancy exhibit has been on my bucket list for years. 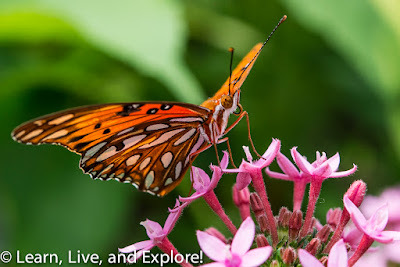 This year, I finally made time to head up to Wheaton, Maryland with my camera - equipped with a 55mm prime and 60mm macro lens - to see what all the fuss was about. Despite being a small butterfly house, compared to others I have seen, I was not disappointed by the quantity and variety of butterflies. Irrationally, I felt like I was often dodging the in flight butterflies, though I am positive they could easily fly around me. 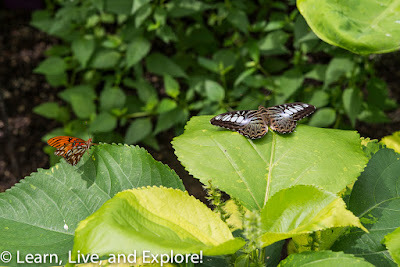 There were plenty of opportunities to capture the butterflies feeding on flowers or resting on leaves. 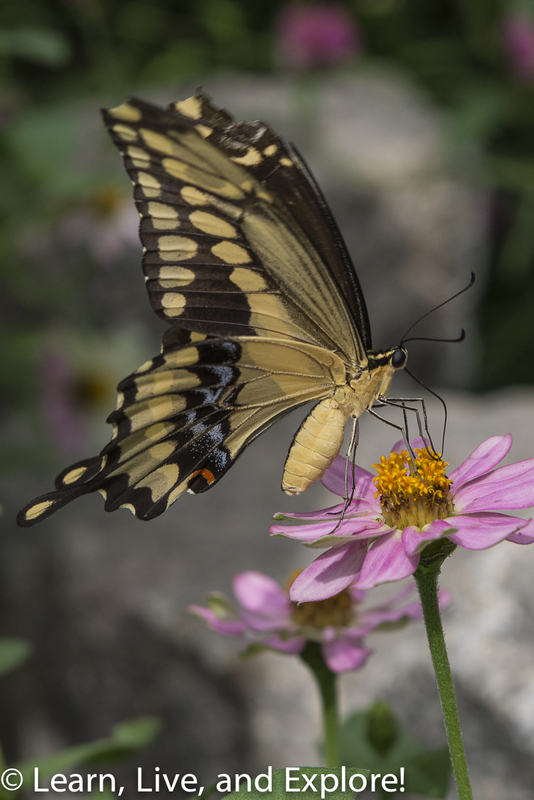 I was happy that they had varieties with the anti-predator designs on their wings. 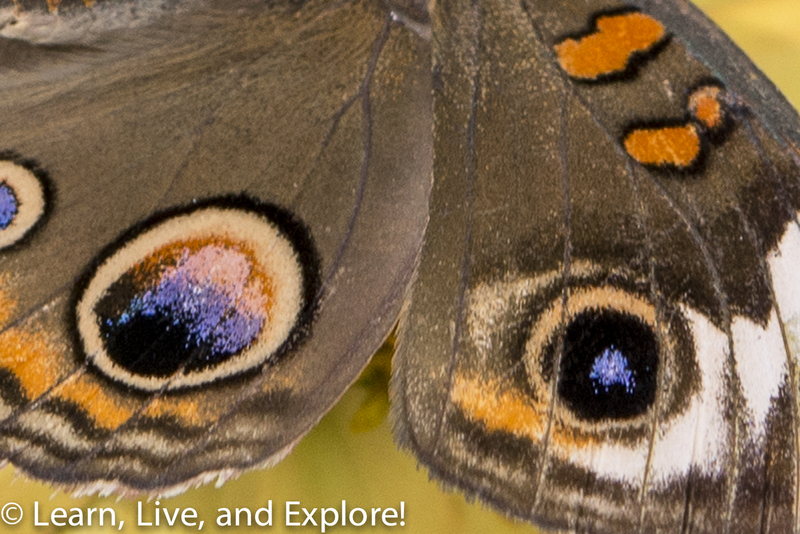 Can you see how the circles on the underwing above may look like owl eyes? Or if you turn your head to the left and look at the edge of the wing, perhaps it resembles a brown snake head? 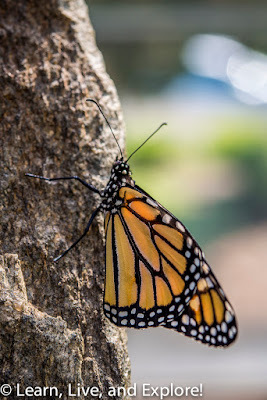 The colors and shapes of the wings were gorgeous. 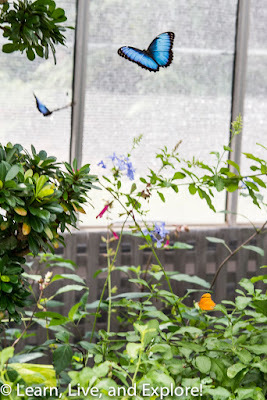 I tried to capture the bright neon blue butterflies, but the only way to get them was in flight because as soon as they landed they closed their wings up to reveal the brown owl design underneath. 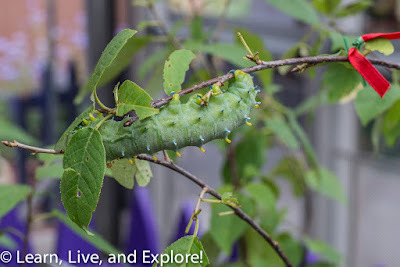 I felt like a crazy person, camera attached to my face, whipping around in a circle, trying to follow one of these blue guys up and around the trees and bushes. 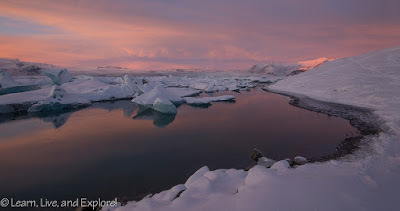 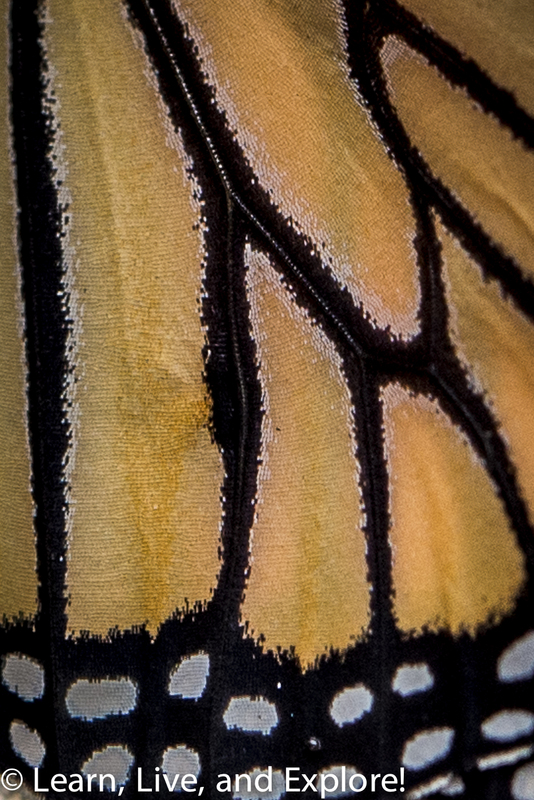 In processing, I had only one shot that mostly worked, but not a close up. My favorite photo is of these dueling butterflies that are positioned so perfectly atop a rock to make it appear as if it's a mirrored reflection. During processing, I also looked for crop opportunities to capture the detailed coloring of the wings, which at that zoom level makes them look more like paintings or a woven tapestry. It really is amazing what nature has created. And, of course, we can't leave out the little guys who will soon become a beautiful butterfly: the caterpillar. These were in a separated area for protection. 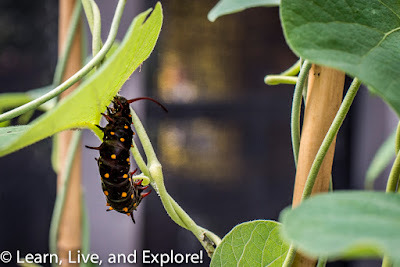 A box of cocoons was also on display. 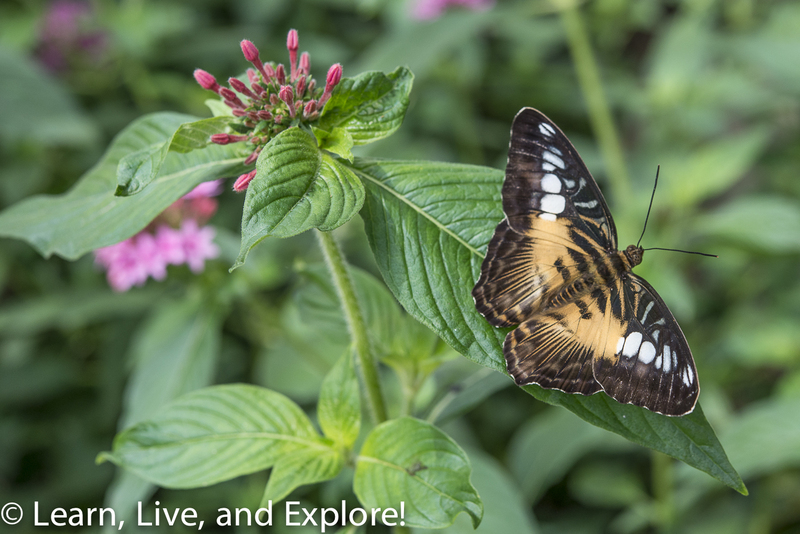 Brookside Gardens is part of the Montgomery County Parks system. 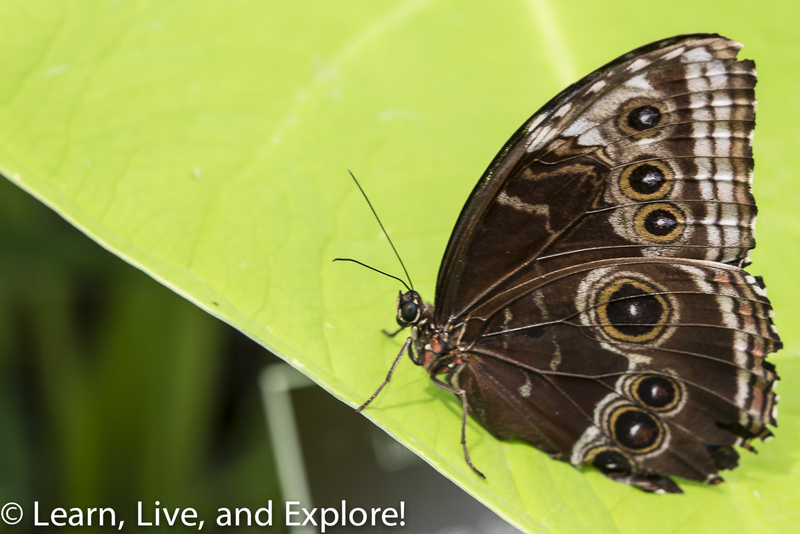 The Wings of Fancy exhibit is open from July through October. 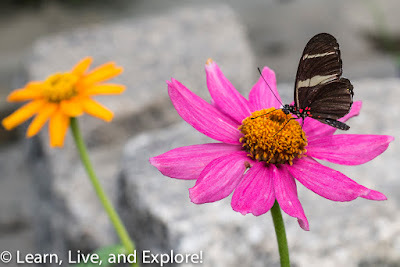 There is a small admission price for adults and kids 3 and older, but I think it is worth the fee as it helps to support the maintenance of the rest of the gardens.